Step 1 In the bowl of a stand mixer fitted with the paddle attachment, or in a large bowl using a hand mixer, cream together the butter and sugar until light and fluffy, 3 to 5 minutes. Add the vanilla and salt, and beat until fully combined. Slowly add the flour while beating, until all of the flour is fully incorporated, careful not to overbeat (overbeating will toughen the cookies). Step 2 Stir in the almonds, cashews and cherries by hand, making sure the nuts and fruit are evenly distributed throughout the dough. In Recipes-list.com we have selected the most viewed recipes from category - Desserts . Enjoy the best recipes specially selected for you! 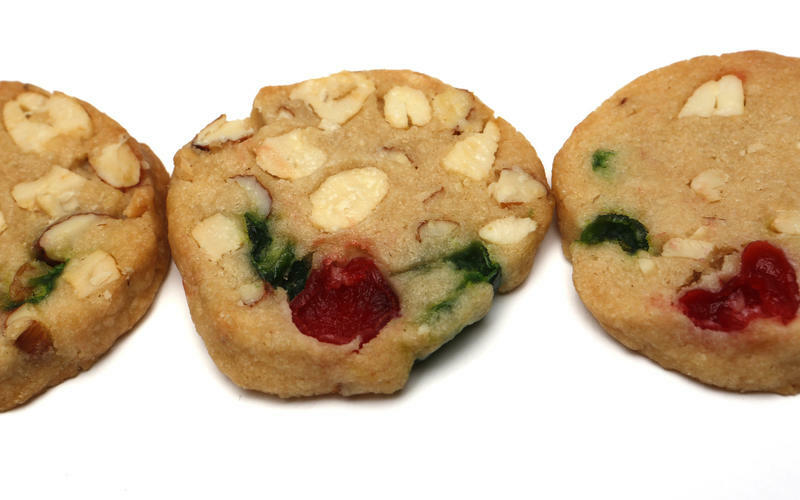 Mum's red and green Christmas cookies is the right choice that will satisfy all your claims.